other spices, such as ginger, red chili powder and coriander. of the daily value based on a 2,000-calorie diet. lentils, fruits, vegetables and whole grains are good sources of fiber. and rinse in fresh water. pressure cooker with water and salt. reduce the heat to low and cook around 30 minutes till to soft. green chilies and tomatoes together in mixer to make smooth paste. pan, add cumin seeds, bay leaf, cloves, cardamoms and Asafoetida. splutter, add chopped garlic and onions and saute till to translucent. powder and cook till to oil starts releasing. with water and cover the pan and cook for 10 minutes on low flame. coriander and serve hot with jeera rice. rice in water for 30 minutes at least. in pan, add cumin seeds, bay leaf and cloves. cook till to water absorbs or rice cooked. 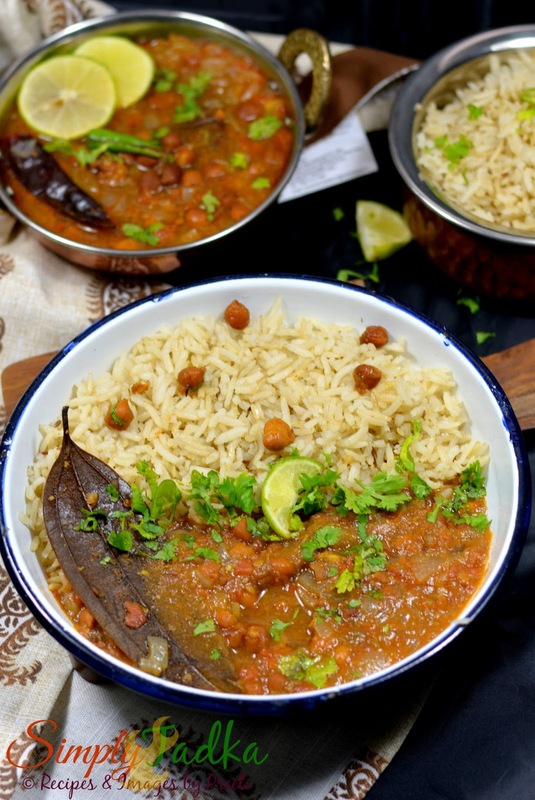 heat and serve jeera brown rice with cooked black chickpea curry. Ah ! 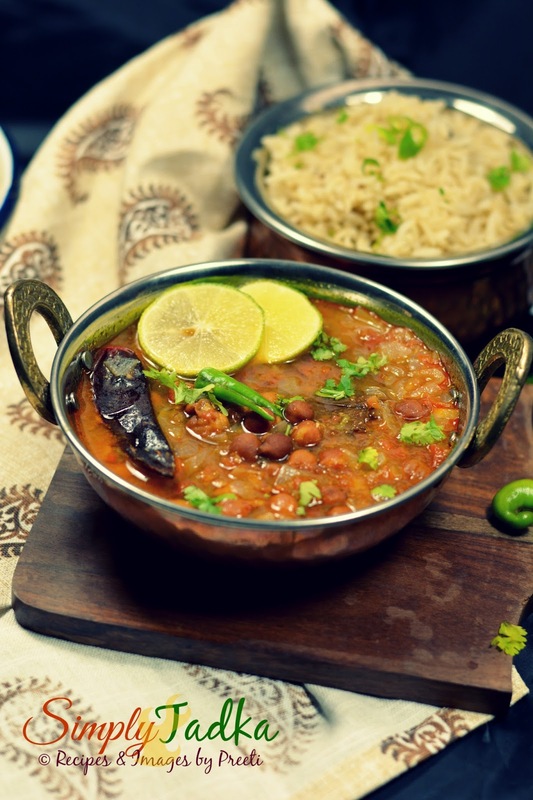 We love this meal , typical Panju meal ! Full of protein and iron , I love to eat radish and green chillies with it . The meal looks fantastic and served right at lunch time ! 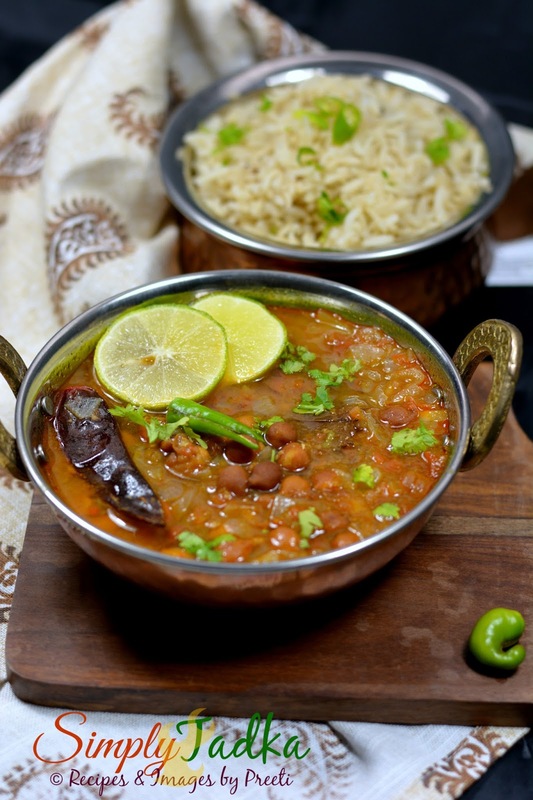 We love kala chana and make it quite often. The curry looks very inviting and healthy too. Love the jeera rice and kala channa combo. Very tempting plate. Kala chana is one of my favourites. Love your presentation and your pics are stunning! I love kala chana and rice anytime. Love the photos, makes the preparation look so tempting. I use kala channa for sundals. This curry looks so good and what a delicious one to pair with rice. Awesome snaps Preeti..
yummy meal here I just need chaas and I am at the dhabba. Lovely meal Preeti. Dunno why i love kala channa than the white channa, am sure this curry will definitely please my tastebuds. Kala chana and rice; I need some lemon juice to go with this platter. yummmm….